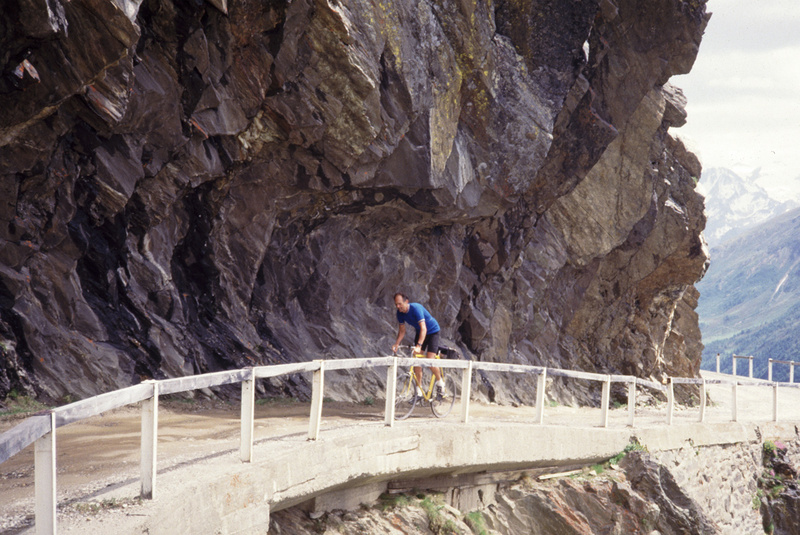 Jobst Brandt on Gavia Pass, in the late 1980s. A tunnel was built about 1991 and this part of the road abandoned. This perspective does not compare to the one made into a poster, but still nice. Photo by whomever was with him on that ride. This entry was posted on April 27, 2014 at 6:57 pm and is filed under Once Upon a Ride. You can follow any responses to this entry through the RSS 2.0 feed. You can leave a response, or trackback from your own site. Jobst coached me for my first solo tour of the Swiss and Italian Alps in 1981. His words will stay with me forever. Still, to this day, cannot believe that I rode over the Stelvio and Gavia by myself. Only because of him.